GoPro’s gone and done it again- come up with another great invention that is sure to be a hit with its loyal customers and it might even help it gain some new fans. 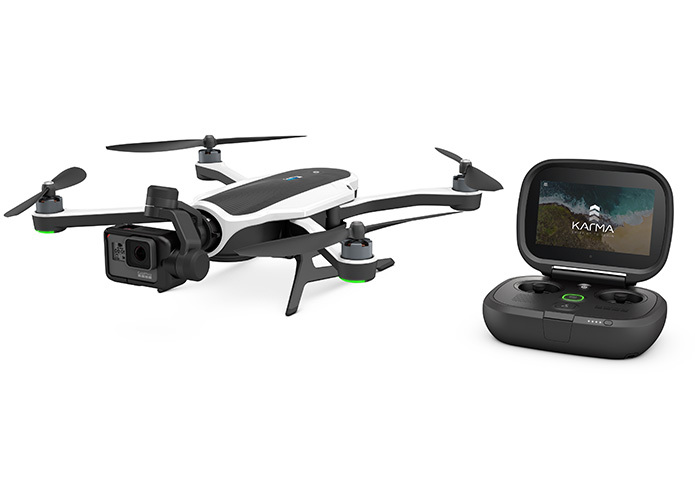 The newest addition to their already awesome tech collection is the GoPro Karma Drone. It is another compelling product that is not only good looking but also packs a punch in terms of functionality and stability. Device consists of landing gear and foldable rotating arms. Videos have a cinematic feel to them. Comes with a flight simulation mode on the remote, which enables novices to learn to properly fly the drone before taking it for a real drive. GoPro is confident that customers will warm up to this latest offering as it is made with the focus of being ease to use and being a convenient option when it comes to capturing high quality photos and videos. The GoPro Karma price rages from US$799 – $1,099. To be release on the 23rd of October. If you don’t require the Hero5 camera than the drone itself is $799, add $300 for the GoPro Hero5 camera.